With fall just around the corner, we thought we’d share some adorable bridesmaid dresses in rich fall hues. Your maids will look stunning in rich and bold fall colors! We just love the fabulous fashions from Lynn Lugo. 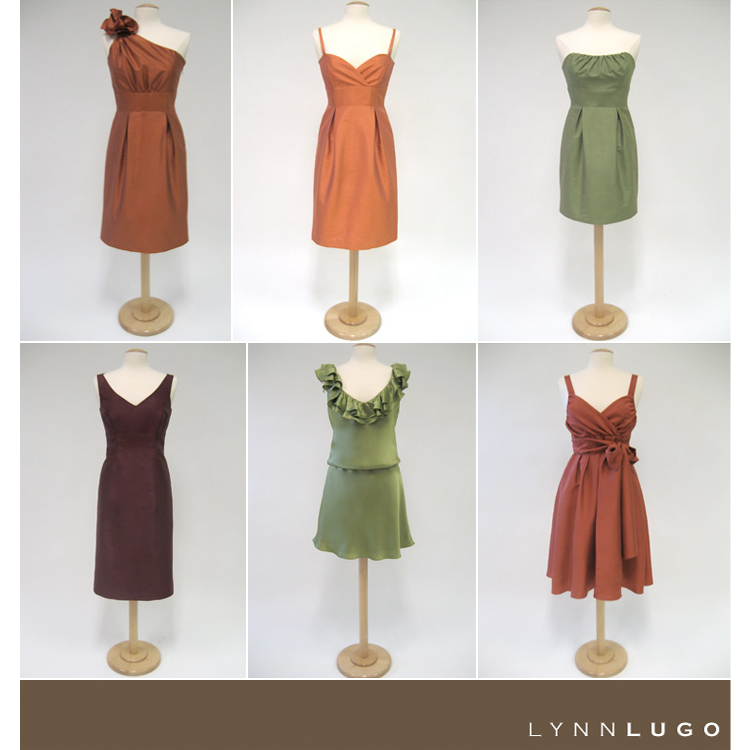 You’ll find so many cute options for your maids, and if you don’t find the perfect look you can even create your own bridesmaid dress on the Lynn Lugo Web site. Too fun! Find Lynn Lugo locally at Bella Bridesmaid in Dallas. Happy Friday!